Imagine going to the grocery store and having your card declined. You call the bank only to find out that there have been thousands of dollars in transactions made to your account and now you have no money. Now imagine this has happened to your parent or grandparent. Financial scams are crimes that often go unreported because they can be difficult to prosecute. However, that doesn’t make them any less devastating. Falling victim to a financial scam can leave you, a parent, or grandparent in a vulnerable place. What’s arguably even scarier is that it’s not always a stranger who commits these crimes. 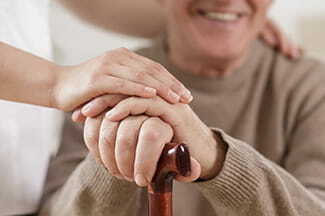 According to a MetLife study, 34 percent of elder financial abuse is perpetrated by family, friends, and neighbors. In this article we’ll talk about common senior scams and how you can help your loved one avoid them. They are likely to have a “nest egg,” own their home, and have good credit—making them attractive to scammers. People born from 1930 to 1959 were generally raised to be polite and trusting so it’s difficult for them to say no or hang up the phone. Seniors are less likely to report a fraud because they don’t know how to report it, are ashamed, or they don’t know they’ve been scammed. Schemers count on elderly victims having poor memory. Since it may take weeks or even months until the victim realizes they’ve been scammed, it may be even more difficult for the victim to remember the event’s details. Seniors are interested in better health, which means con artists sell products that claim to promote health. We all want to keep our parents and grandparents out of harm’s way, physically, mentally, and emotionally. Unfortunately, scams are the trifecta for this: they affect our physical bank accounts, they tax our mental ability to distinguish between trust and doubt, and they take an emotional toll on us. Below is a list of six common scams that are targeted toward seniors. We’ll explain each scam and how to help the seniors in your life avoid falling victim to them. This scam is possibly the most evil because it tugs on the grandparent’s heart. Con artists will call an older person and when they pick up, they say, “Hi Grandpa, do you know who this is?” The grandpa then guesses the name of the grandchild and the scammer has suddenly developed a fake ID without having to do any work. Once they have an ID established, the “grandchild” asks for money to help with a financial problem (rent, bills, car problems, etc.) paid via MoneyGram or Western Union, which don’t always require ID to collect. The con artist will also say something like, “Please don’t tell Mom and Dad, they’d be so mad at me,” keeping the grandparent quiet about it. This is one of the most common phone scams. Con artists will call a grandparent and mention their child or grandchild by name saying they have been in an accident or are stranded somewhere and need money wired to them immediately. The victim wires the money to the person and there are no traces. In fact, my brother-in-law’s grandmother was a victim of this. Fortunately, she called her daughter to see if everything was okay with her grandson and realized it was a scam before transferring the money. Contact the child or grandchild directly and see if it was truly them who called. Resist the pressure to act quickly and send the money immediately. Never wire money based on contact over the phone or email, especially overseas. Wiring money to someone is like giving cash—once you send it, you cannot get it back. There’s never a good time to fall victim of a scam but if there is a worst time, it’s during a grieving period when the senior is emotional and vulnerable after losing their loved one. There are a couple scenarios where you can be a victim of a scam during a funeral. The first situation to be cautious about is scammers attending funerals for complete strangers and then taking advantage of the grieving widow or widower. The perpetrator makes claims that the deceased had debt with them and will try to extort money from the relatives to settle these fake debts. The other situation is in regard to funeral homes. Funeral directors may add unnecessary charges to the bill and family members may not realize it because they are unfamiliar with the cost of funeral services. One example is when funeral directors insist that a casket must be purchased even for direct cremation. In these cases, a cardboard casket can be used instead of an expensive burial casket. Tell them not to purchase the first thing they see; do some research and shop around. Have them take you or someone else who can offer some perspective. Funeral homes are required to provide a detailed list of prices over the phone or in writing. Learn about caskets before one needs to be purchased—remember that caskets are not required for direct cremations. Know the difference between funeral homes’ basic fees for professional services and additional service fees. Remember that embalming is not legally required for direct cremations in all states. Read all contracts and purchasing agreements carefully before they sign—make sure all of the requirements are in writing. Understand all cancellation and refund terms including portability options for transferring the contract to another funeral home. Before prepaying, be well informed. After a plan has been chosen, ask them to share the details with you so you can carry them out accordingly and are getting everything they paid for. Don’t be pressured into making any purchases or signing any papers. They must be their own advocate. U.S. citizens over the age of 65 qualify for Medicare, so scam artists don’t have to research what health insurance company senior citizens are using. These criminals often pose as a Medicare rep to get senior citizens to give them personal information. Then the perpetrators use the victim’s information to bill Medicare and pocket the money. Do not give blanket authorization to health care providers to bill for services provided. Tell them to ask their physician what they will need to pay so they know what to expect. 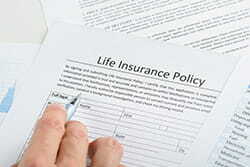 Review their insurance benefits so they have a full understanding of them. Call their provider if they (or you) have questions. Do not do business with telephone or door-to-door salespeople. Tell them to give their insurance information only to those who have rendered medical services. Keep records of all medical appointments. Know whether their physician ordered equipment for them, consider writing it down somewhere safe. Perpetrators call elderly taxpayers saying they owe money and they demand it immediately. They threaten them with arrest, deportation, or losing their driver’s license. If your parent or grandparent has caller ID, it may show up as the IRS. Anytime someone calls saying they are with the IRS and you owe them money, it is a scam. The IRS doesn’t call people; the IRS sends letters in the mail. The IRS never calls, emails, texts, or contacts people through social media, so it is important that you and your loved one do not give out any information to someone stating they’re with the IRS in these forms of communication. The IRS will not call about taxes owed without mailing a bill first. The IRS will not require payment for your taxes a certain way (e.g., with a prepaid debit card). This is a scheme you’re probably well aware of because it’s one of the most common. Elderly people make twice as many purchases over the phone than the rest of the population, making them great prey for fake calls. Senior citizens are commonly more comfortable with shopping over the phone than they are with shopping online, even though there is risk to both. The dangerous thing about over-the-phone scams is that there is no paper trail and no in-person interaction, making these scams difficult to trace. Another terrible thing is that if the person falls for it once and makes a purchase, the con artist will most likely share the person’s name with other scammers, increasing their chances of making a deal. This results in the person being scammed over and over. A legitimate business has no problem sharing more information about their company, so ask questions about companies you and your loved one are not familiar with. Search online for unfamiliar companies through the Better Business Bureau, National Fraud Information Center, or other watchdog groups. Ask the salesperson for their name, business identity, phone number, mailing address, and business license number before conducting business. Check the accuracy of these items since con artists give out false information. Before making a donation, find out what percentage of the money goes toward the charity or investment and what goes toward commissions. Do not pay for services ahead of time—pay after they are delivered. Beware of companies who send messengers to collect money, claiming it’s a service to your loved one. What they’re really doing is taking your loved one’s money and leaving no trace of who they are. Tell your parent or grandparent to take their time when they’re making a decision, you’re not obligated to act quickly. The typical “limited time offers” are just sales tactics. Do not pay for a “free prize.” If they say it’s to pay for taxes they are violating federal law. Do not send money or give out personal information to unfamiliar companies. These are common scams for anyone but seniors fall victim to them more often due to their unfamiliarity with the internet and all its features. Emails are sent to elderly asking them to update their profile information for online accounts, this includes bank profiles, online shopping accounts, social media accounts, and more. They verify their information and the scammer gets to do whatever they want with it. Be cautious of emails from unrecognized senders. 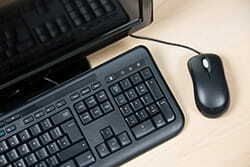 Be cautious when confirming personal or financial information over the internet. Do not respond to emails that are not personalized and ask for personal information. Look for a lock icon on the browser’s URL bar or “https:” URL (s stands for “secure”) on websites. Do not download files, click on links, or open attachments in emails from unfamiliar senders. Make sure your parent/grandparent knows to never email personal or financial information to anyone even if they’re close to them. Their email could be compromised and someone could hack it and get the information. Do not click on pop-ups. Check online accounts (including financial account) regularly for any unfamiliar activity. Don’t be ashamed if you’ve been a victim of a scam. Con artists are coming out with new ways to trick people into falling for their schemes every day. It’s important that you know you are not alone. Speak with someone you trust about it and know that doing nothing could make it worse. Have the phone numbers to the police, your bank, and Adult Protective Services to get help. Contact a loved one for help. Cancel your credit/debit card and have your financial institution send you a new one. Call the police to report it. And remember, you are not alone in this. Are you familiar with a common senior scam that should be mentioned in this article?